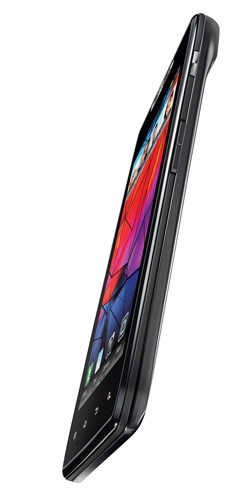 Review Razr, now there's a name for Motorola to conjure with. In its first two years the hugely popular V3 clamshell sold over 50 million units but then Motorola became so dependent on it that when it stopped selling, the company's market share collapsed. It’s due to its timely embrace of Android that Motorola is still with us, so perhaps it’s fitting that the Razr badge should be resurrected at the dawn of Google’s ownership. 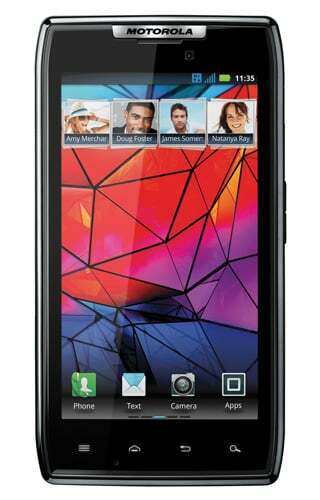 Starting at the front, the Razr’s 4.3in 540 x 960 screen is close to perfect. The pixels-per-inch count of 256 can't match the iPhone’s 330 but the extra surface area makes all the difference, while the Super AMOLED panel is pin sharp, bright and wonderfully colourful. Move from front to back and you go from Gorilla Glass to Kevlar. Well known for its bullet-stopping properties, the Kevlar back panel combines with an internal steel backbone and splash-proof body to make the Razr stiff and robust. The back's matt finish also feels warm and pleasant in the hand. Combining that sort of build quality with a thickness of only 7.1mm – OK, it’s a few millimetres thicker at the top to house the camera but let’s not pick nits – and a weight of only 127g is magical technically impressive. Indeed, there’s something of the Bauhaus about the design of the Razr, as if Motorola got to this shape by default after all the bits were fitted together and then decided to leave well alone. With its ever-so-slightly bevelled ends, the Razr is not pretty like the Sony Ericsson Arc S. No doubt some would even say it’s austere but to my eyes it’s a functional and handsome looking bit of kit. The slimness hasn’t compromised the controls one iota. At the top you will find mini HDMI, micro USB and 3.5mm audio ports, while on the right flank sit the volume and power controls. Under a robust flap on the left hide the micro SD and micro SIM slots. Like the Motorola Atrix, this model can be hooked up to a WebTop accessories such as a the Lapdock, a full-sized keyboard and screen dock. But alas, the Razr has its own Lapdock 100 rather than shares the optional extras designed for the Atrix.